Abalone shells are often used for smudging ceremonies by the Native Americans in Canada and the United States. These abalone shells have been cleaned and polished on the inside and outside. The sizes have been obtained by measuring the longest side of the shell. Genus and species of Green Mexican Abalone: Haliotis fulgens. Wild. Mexican green abalone are not endangered and are not subject to CITES controls. 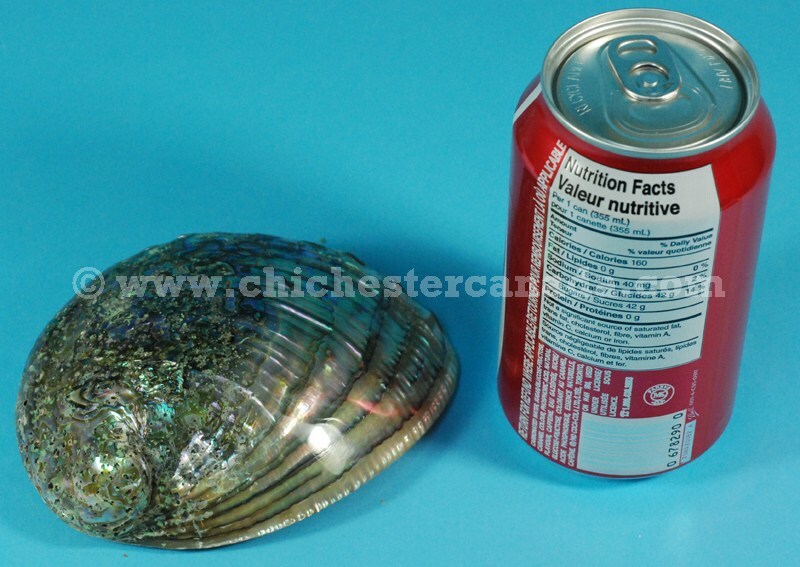 We can offer large volume shipments of African abalone shells. Please call Paul Crosby at +1.416.232.0376 or write to info@chichestercanada.com for more information.